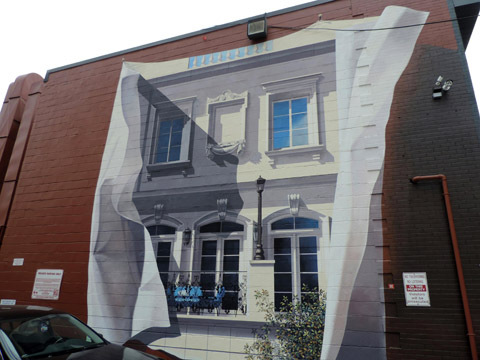 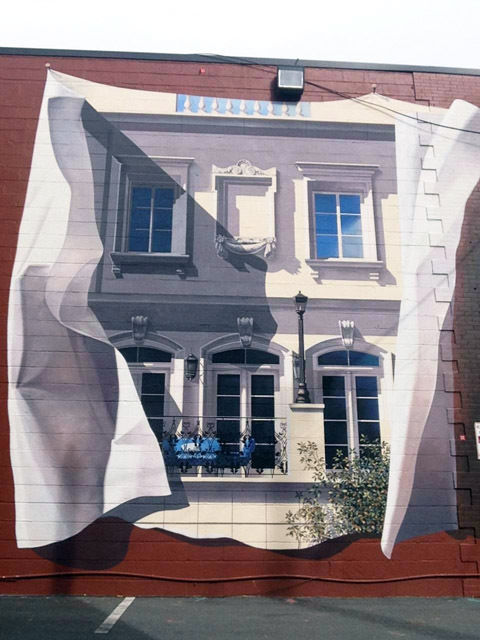 ATS Studios artisan created aTrompe L'oeil image that had an illusionist appearance that a building was being revealed by paper being ripped back on the wall. 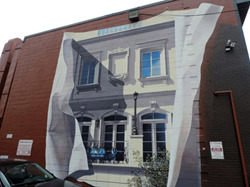 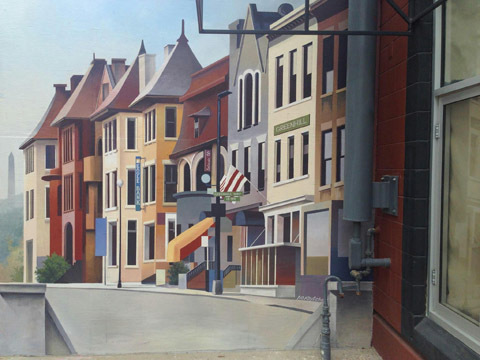 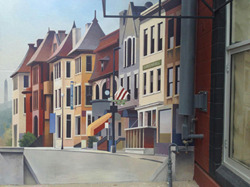 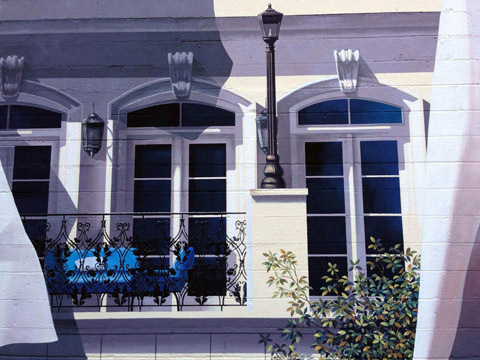 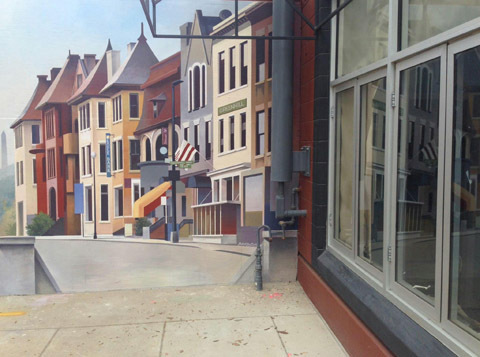 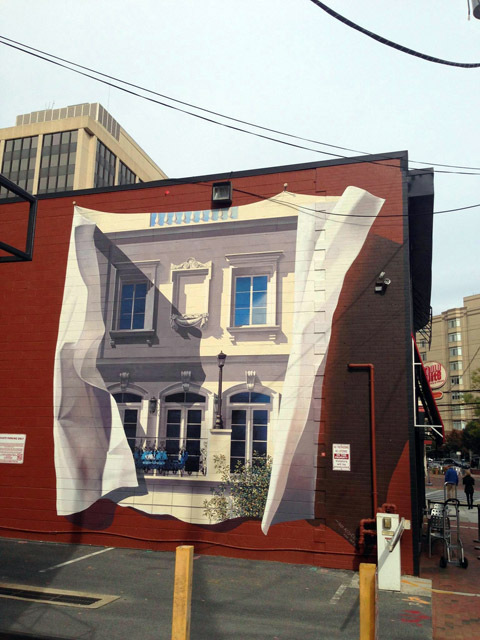 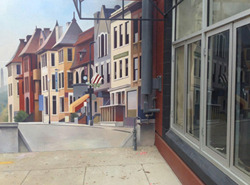 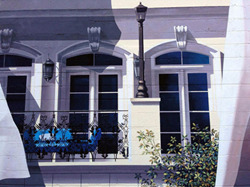 The second mural was a scene of townhouses in Georgetown. Technique: Artist applied murals with keim paint. 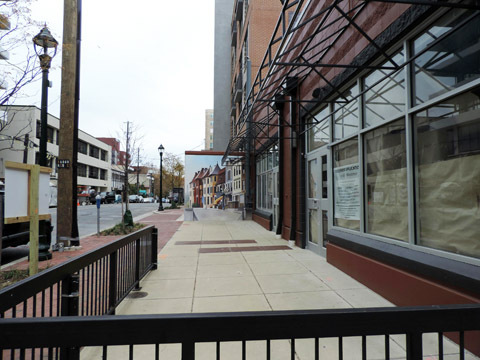 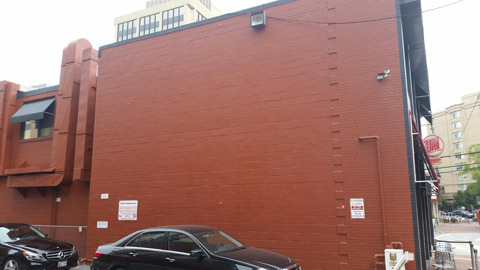 Scope: One 20ft x 22ft wall on the side on a two story building, and a 10ft x 10ft wall on the wall of another building.